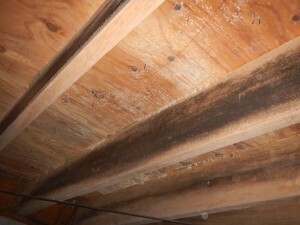 Protect your Home by removing the mold from your Crawl Space! Mold prefers to grow in dark, damp crawlspaces. Mold needs three basic things to grow: moisture, organic material (wood), and the right temperature range. Of these factors, the only one we can control is moisture. In a damp environment, crawl space mold can flourish which can allow it to spread throughout your home. This is bad news when it comes to maintaining good indoor air quality. Mold remediation can be done in a few simple steps. First, the crawlspace is put under negative air pressure to avoid cross contamination to the other areas of the home. Next, we clean all affected areas to make sure the mold is completely removed. In most cases, we clean all structural components, not just affected areas, because mold may be starting to form and may not be visible yet. 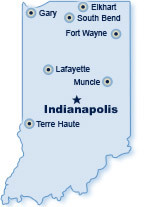 Give us a call today at 317-893-7016 to request a professional evaluation from our mold remediation experts. WARNING: There are no fogging or spraying techniques available that are effective replacements for remediation of mold in crawl spaces. Mold must be physically removed from the surface to be considered remediated.